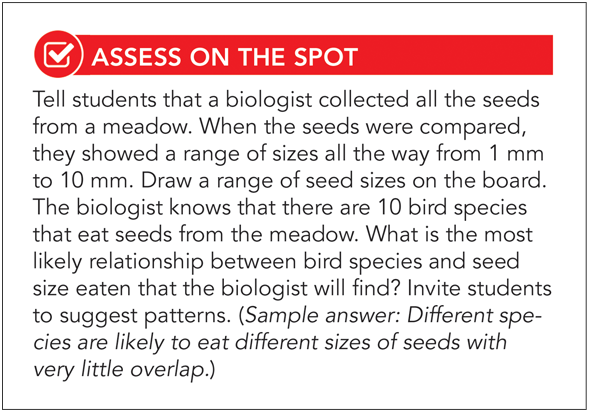 The multifaceted assessments in Miller & Levine Biology address multiple Depth of Knowledge (DOK) Levels. This helps teachers assess students' three-dimensional learning and proficiency with NGSS performance expectations. Formative and summative assessments provide a reliable system to monitor student progress and make informed decisions. Authentic assessments of STEM learning allow students to demonstrate mastery of the chapter concepts and new standards. All Performance-Based Assessments feature real-world problems and focus on science inquiry and STEM practices. 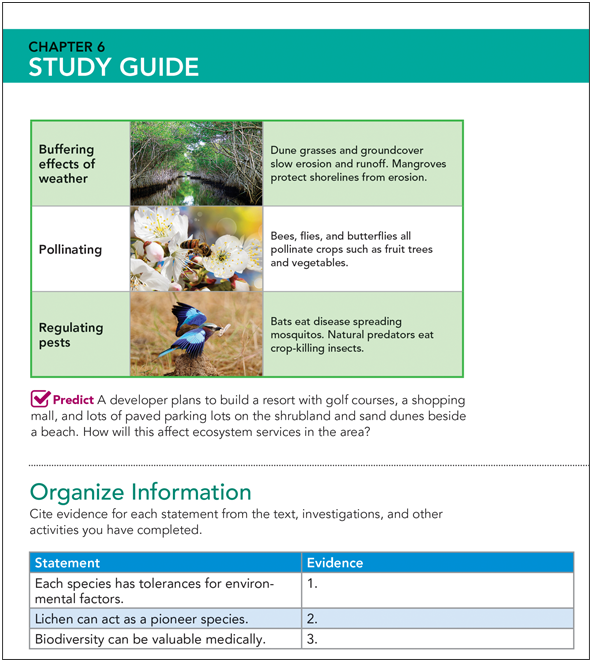 Summaries, graphic organizers, concept maps, and evidence-based questions help students become self-monitored and prepared learners. Assess students’ understanding, connect concepts, and target critical thinking. 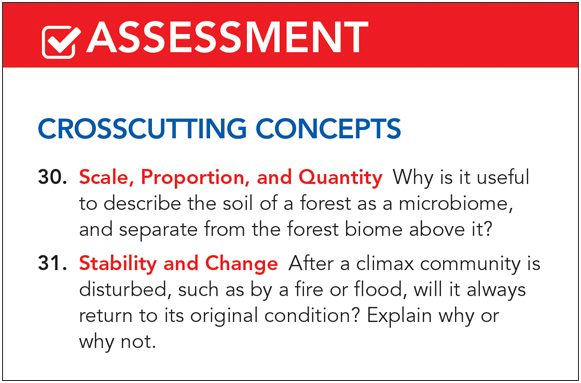 End-of-chapter assessment includes interdisciplinary Math and ELA sections. 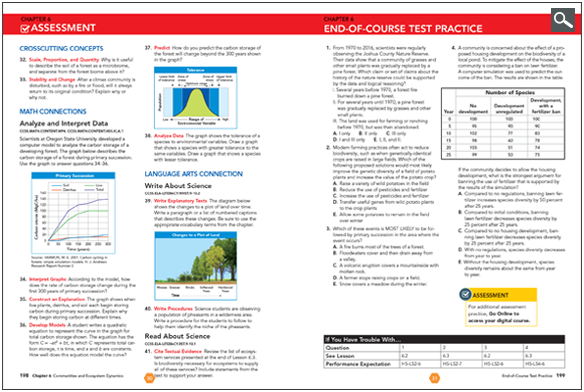 DoK levels are included with the answers in the Teacher’s Edition. 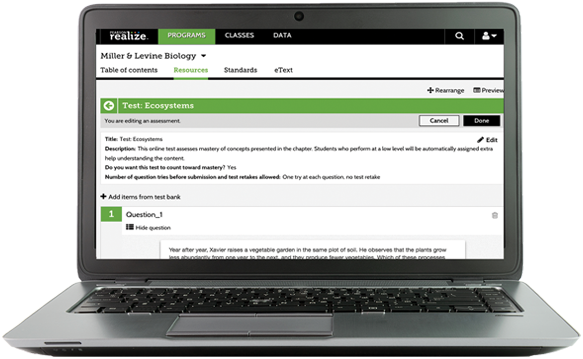 Online tools on PearsonRealize.com allow teachers to edit, assign, and print biology quizzes and tests. It's easy to make any adjustments you need. 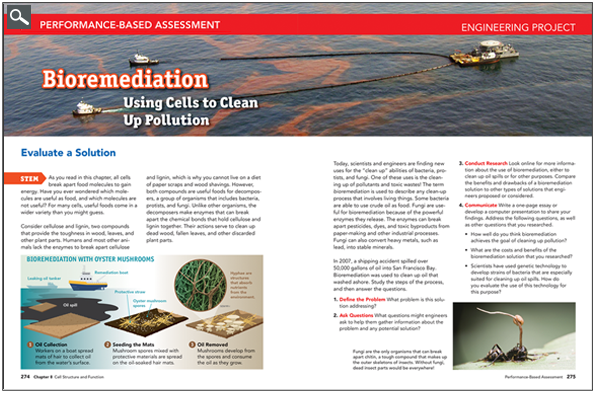 Embedded assessment tasks integrate science and engineering practices, crosscutting concepts, and disciplinary core ideas. Assess three-dimensional learning! 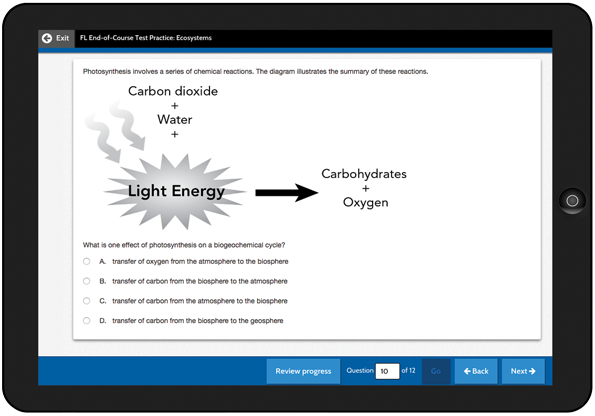 Students prepare for end-of-course exams with practice tests in every chapter and online in PearsonRealize.com.